Uber has threatened to fire Anthony Levandowski, its current VP of engineering, if he doesn’t comply with a court order and hand over certain documents he is alleged to have taken from Waymo, Google’s self-driving car spinoff. Levandowski is not a defendant in the case. When Levandowski was deposed in the case, he answered almost no questions and pled the Fifth Amendment. A lawsuit was filed by Waymo in February alleging that Levandowski illegally downloaded more than 14,000 files belonging to Google when he was working on their self-driving car project. Levandowski quit Google without notice in January, then founded a self-driving car startup called Otto. 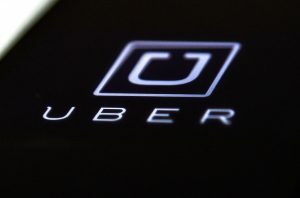 Otto was sold to Uber for $680 million a few months later. US District Judge William Alsup issued an order last week requiring Uber to do a thorough investigation, listing every person “who has seen or heard any part of the downloaded materials.” The order also calls on Uber to “interview everyone who has communicated with Levandowski about lidar, and produce a log of “all oral and written communications” in which Levandowski mentions the technology. The order also barred Levandowski from any work on lidar technology for the foreseeable future. Alsup suggested in his order that Uber could “threaten Levandowski with termination for noncompliance,” without violating Levandowski’s Fifth Amendment privilege. Alsup also wrote that Levandowski was “free to forfeit his private employment to present his Fifth Amendment privilege.” This means that the Uber engineer may be forced to choose between the Fifth Amendment and his job.